Hi! It’s Taryn again from Design, Dining and Diapers! 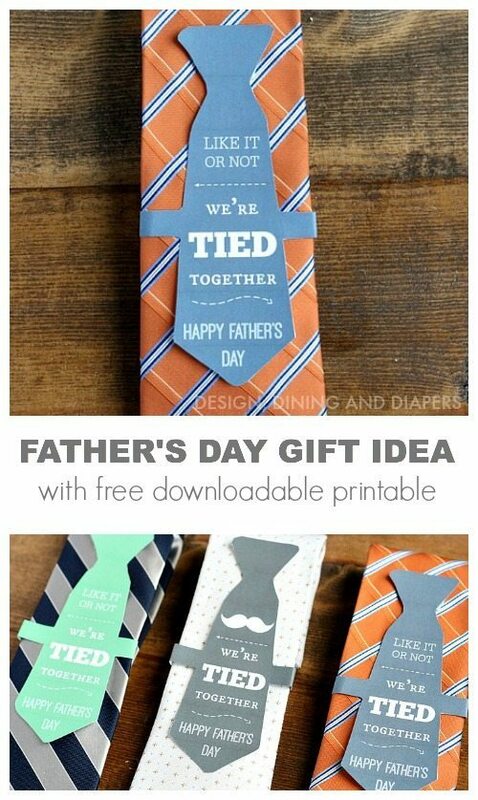 Have you started thinking about Father’s Day, yet? 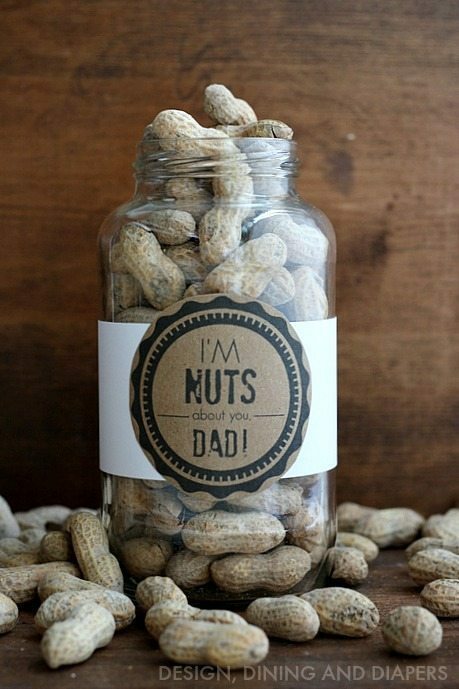 I know, it’s not even June but today I have a Father’s Day Gift Idea for you that includes a fun printable! 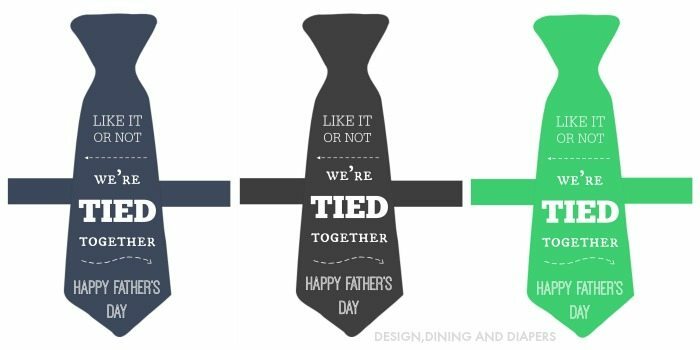 Does your man love a good tie? Why not put a fun twist on this traditional gift with an “I’m Tied To You” printable. I even included a more lighthearted option for you! Gray, green or blue? What color suits your special guy? Does he like a trendy checkered tie or a classic solid color one? 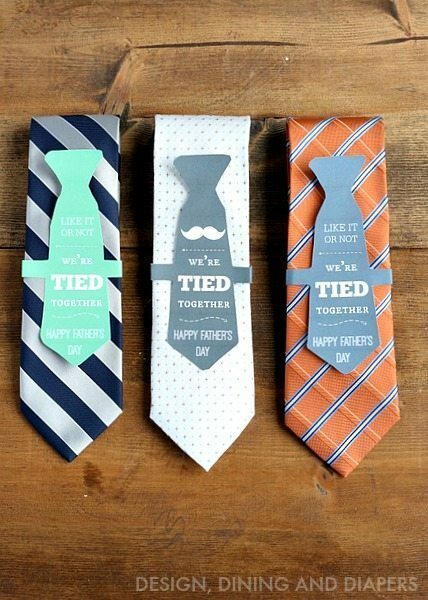 Now all you need to do is download your desired design and color, print, cut and place it on your tie. Hope you all have a fabulous Father’s Day with the special men in your life. Thanks Desiree for having me over today! Visit Design, Dining and Diapers and check out these other adorable ideas. I love edible gifts. This one is super easy and yummy! 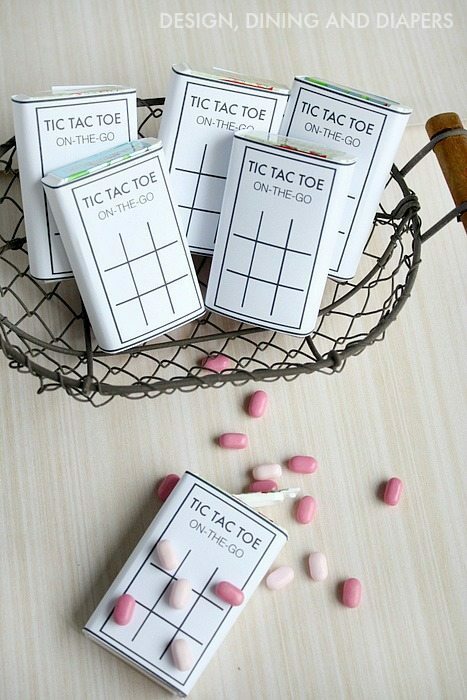 Such a cute party favor for birthday or class parties! Love this. Cute ideas. My Dad has always been difficult to buy presents for. 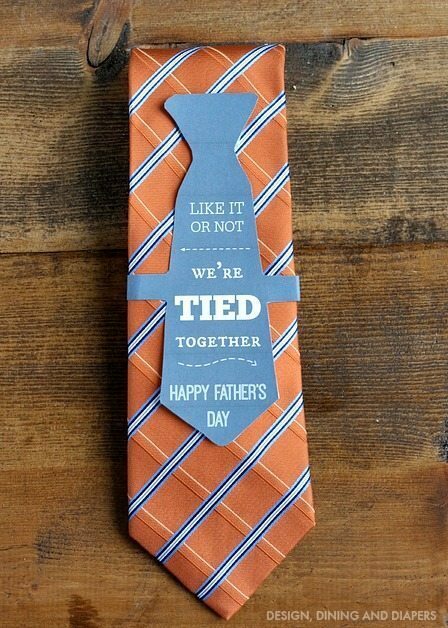 I love the father’s day ties! Great idea. I can’t get all of the links to work. Only a blue one of each style link works. The others all bring up the blue tie again. 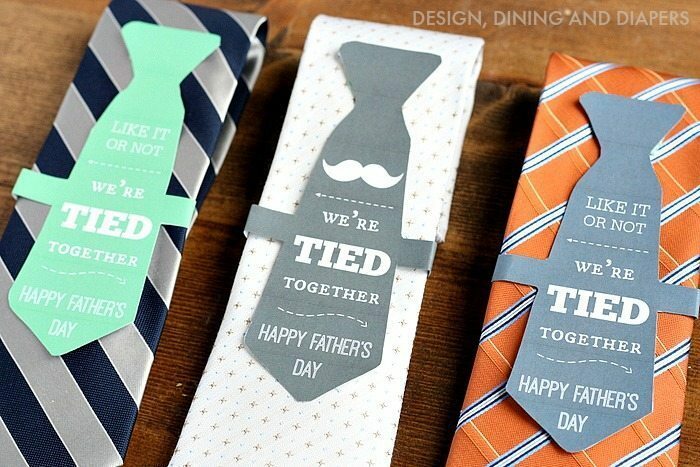 They’re all wonderful but I especially like the tie w/the moustache. My uncle is going through chemo and radiation and no longer has the moustache he’s sported since I can remember him. I know he’ll appreciate the ‘We’re Tied Together’ moustache tie that you’ve so graciously created and shared. Thank you so much! Wonderful projects, Taryn! Thank you!